In medium bowl, toss apple slices with brown sugar; sprinkle with salt. On cutting board, unroll dough; separate dough into 8 triangles. From center of longest side to opposite point, cut each triangle in half, making 16 triangles. 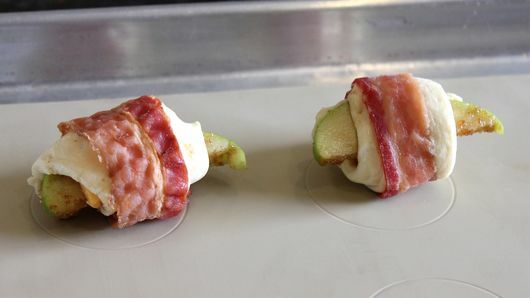 Place 1 cheese slice on shortest side of each dough triangle; top each with 1 apple slice. 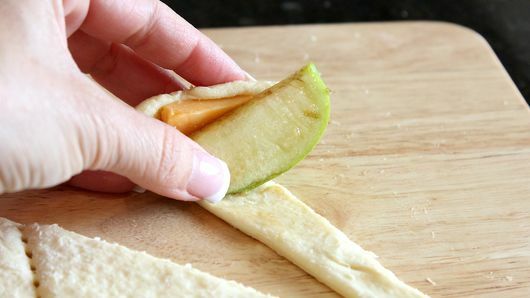 Fold sides of dough triangle up slightly; wrap dough around apple and cheese. 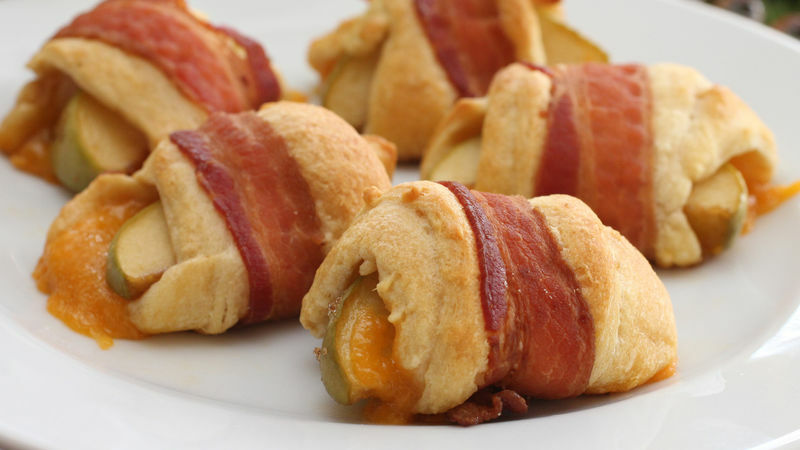 Wrap 1 bacon slice around outside of each dough roll-up, making sure ends of bacon are on bottom and slightly tucked in. Place on cookie sheet. Bake 12 minutes or until golden brown. Immediately remove from cookie sheet. Serve warm. Raw bacon doesn’t work because it won’t have enough time to cook. You need to use precooked for this recipe to work. Precooked bacon can be found at the supermarket. If you precook your own bacon, make sure you don’t cook it until it’s crispy. You want it to be pliable so it can wrap around the dough.